Hello crypto enthusiates! 2018 has been a year of trend breaking and emerging preferences within cryptocurrency. For example, during the previous four years experts and veterans alike talked about how the market dips in the winter because of holidays around the world and recovers in the Spring and Summer months. This year however, the pain of the explosion in value and the eventually collapse that followed at the end of 2017 has left the market sputtering to maintain values. Another example of the winds of change: Mining, or Proof-of-Work (PoW), has lost significant ground to the more energy conservative confirmation protocol Proof-of-Stake (PoS) and masternodes. As the utility of cryptocurrency continues to grow, teams have begun shifting away from the resource heavy Proof-of-Work protocol due to high equipment costs and the rising value of energy consumption. The newer focus on PoS and masternodes has created huge demand for services that cater to the needs of investors. PoW requires large start up costs to buy equipment as well as hardware and software knowledge in order to successfully mine cryptocurrency. PoS requires only software knowledge and subscription fees to services like Virtual Private Servers (VPS) to maintain wallet and masternode connectivity. As the preference of PoS and masternodes has spread across the crypto-verse, it has become apparent that a number of investors do not have the necessary technical knowledge to successfully run PoS wallets and more specifically, to built and monitor masternodes. Without this knowledge many investors are missing out on profitable investments that are being scooped up by the more technically informed individuals spread around the industry. Enter the upcoming platform EVOlution-of-Services, or what will be known by the contracted name 'EVOS.' This platform will become the hub for a comprehensive and advanced destination for any and all things masternodes. From investors, to developers and project owners, to casual users, EVOS will offer products and services for every demographic inside the cryptocurrency universe. It all begins with the EVOS coin. A PoS/masternode coin that has a maximum coin supply of 20,000,000 coins. One million less than the original cryptocurrency, Bitcoin. The block rewards for the coin are split up in the following manner: 75% to masternodes, 20% to staking wallets, and 5% to the development fund. This supply and block reward allocation is important when you analyze the purpose of the EVOS coin. The EVOS coin will be the exclusive utility coin for the entire platform and master suite of products and services offered by EVOS. That means that coins will be required to pay for access to all of the platform’s resources. This will increase the utility, and ultimately, the value of the coin. With only 20 million as the maximum coin supply and a relatively high masternode allocation percentage for rewards, circulating supply of coins will be relatively low. This means that the coin’s demand will be even more affective in increasing the value of the coin. The crown jewel of cryptocurrency is its decentralized nature. In a decentralized world, the ability to compromise systems is greatly reduced. For example, in order to compromise the Bitcoin blockchain, a hacker would have to compromise 51% of all the wallets that contain the blockchain data. Given the maturity and world-wide presence of Bitcoin, this obviously would be a fool’s errand. A major drawback to this feature of cryptocurrency however, is that a lot of times investors must utilize a number of platforms in order to complete even the simplest of tasks. For example: Dash is the gold standard of masternodes. If you are running a Dash masternode and want to take your rewards and turn them into US dollars, you have to interact with no less than three different platforms in order to do so. This results in lost time and lost value in the form of exchange fees and transfer fees. 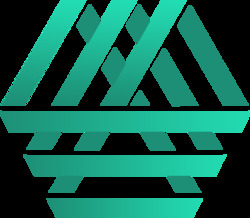 EVOS aims to revolutionize the masternode market by creating a compromise between decentralized cryptocurrencies and a hub of all the services an investor would need from start to finsh. By offering a comprehensive platform, EVOS will save investors time and money through an easy to use, streamlined web-based user interface. The products and services offered by EVOS are broken down into three primary categories. Investors, Developers, and End Users. Masternodes have become the hot item in the cryptocurrency space over the past year. Replacing PoW and the dying lending platforms, masternode coins have become the first choice for small to medium sized investors to profit during the current mediocre market conditions. EVOS’s platform aims to make the masternode experience easy and complete, all within one location. Currently, masternodes still require a decent amount of coding knowledge in order for individuals to start and maintain them. This limits less technically knowledgeable investors from fully participating in the masternode market. A large number of investors either do not have the time, the knowledge, or the resources to maintain masternodes. Therefore, services have been created to help these investors out. We have seen services like GIN, Apollon, and others attempt to assist with starting and maintaining masternodes. However, their services tend to fall short of what is truly possible within this market. EVOS recognized the opportunity for a platform that completed the process from beginning to end. Investors will be able to start masternodes, maintain masternodes, collect rewards, sell rewards for BTC, sell BTC for fiat currency, and send that fiat currency to their credit cards, all within the EVOS platform. Regardless of the masternode coin, investors will conveniently be able to handle all of their masternode investments without ever leaving the EVOS platform. It is clear that ‘ease of use’ is the most important consideration from the EVOS team. They understand that while investors may be very well educated in the cryptocurrency markets and diversify their investment opportunities, these same investors may not have the technical knowledge needed, or simply the free time needed, to build, maintain, and manage masternodes. In addition to the masternode process, EVOS has an arsenal of automated programs, or bots, at their disposal. I will explore these further in a few minutes, but these programs will speed up many processes that would otherwise delay service opportunities in other platforms. By building out an all-in-one platform, EVOS will provide users with essential products and services that provides them with consistency, the saving of precious time, and peace of mind when it comes to managing their investments. Investors are only one part of the plan for EVOS’s target market. Developers were far from left behind when the team began developing the primary ideas that would become EVOS. The reason for this was that the platform would be a destination for investors as well as a provider of products and services for teams that wanted to streamline their own cryptocurrency projects. Mentioned earlier was automated programs (bots) that greatly improve the services offered by the EVOS team. I personally experienced this in the EVOS Discord Server. During their Pre-Sale, the team saw heightened demand for their masternodes that were for sale. Because of this, the team made the smart business decision to let the market decide the value of the remaining masternodes for sale. They developed an auction bot integrated into their Discord server and used this bot to hold auctions for the remaining masternodes that were for sale. Besides being wildly entertaining and fascinating to witness, the EVOS team required very little interaction within the process because their bot was handling all of the heavy lifting. The auctions occurred with no major issues and all winning investors received their masternodes within a few minutes of the auctions ending. This example can be extrapolated to the other automated services that they offer. They have KYC and AML bots that handle large influxes of investors applying for verification. They have an escrow bot that allows for secure and quick over-the-counter (OTC) transactions. They have bounty bots that handle payouts to bounty participants. They have community bots that manage community behavior as well as reward users with coins for their continued engagement. The best part, all of the automated programs will be available to be rented to developers of other coin projects. These tools are easy to use and vital to the success of a smoothly run project. It also provides EVOS with a reliable revenue stream. Given that the EVOS platform operates exclusively off of the EVOS coin, demand will increase, and the team and investors alike will benefit from the increase in value. In addition to the automated programs offered by EVOS, there will also be coin advertising and promotional services offered to project teams and other developers. By leveraging the complete ecosystem into advertising opportunities, the EVOS team is ensuring that there will be a number of revenue streams that will fund the project for years to come and allow them to smoothly advance into the next phases of development. At the end of the day, EVOS cannot operate without the investors who believe in their project and invest in their coin. But those are not the only end users that will be found within the EVOS platform. Comprehensive services are the bedrock of what EVOS has planned for its project. This will include partnerships with third party, real world vendors to integrate their payment options into the EVOS ecosystem. Last announced, the team already has multiple companies interested in and/or planning to come on board within the first few months after the platform launches. In addition to the investment opportunities and third party vendors, EVOS will also offer third party reward programs for users. This programs will allow users to benefit from a plethora of rewards programs, being a synergistic relationship between the EVOS platform and other vendors and service providers. The primary focus for the EVOS team right now is the finalization and testing of the primary platform. Given the scale and scope of what EVOS is attempting to accomplish, they have been in development for months now and have plenty of work ahead of them. It is encouraging to see services, like the automated programs, active and being utilized in their existing communities. According to their Roadmap on the EVOS website, the fourth quarter of 2018 will be an exciting time. Beta service begins for their platform as well as fiat payment integration will occur. The keystone of completing the pathway from masternode investment to dollars in your pocket so you can use those funds to buy your significant other a new car, or maybe just a nice dinner. The biggest accomplishment planned by the end of the year is the registration of the real world company that EVOS will become. 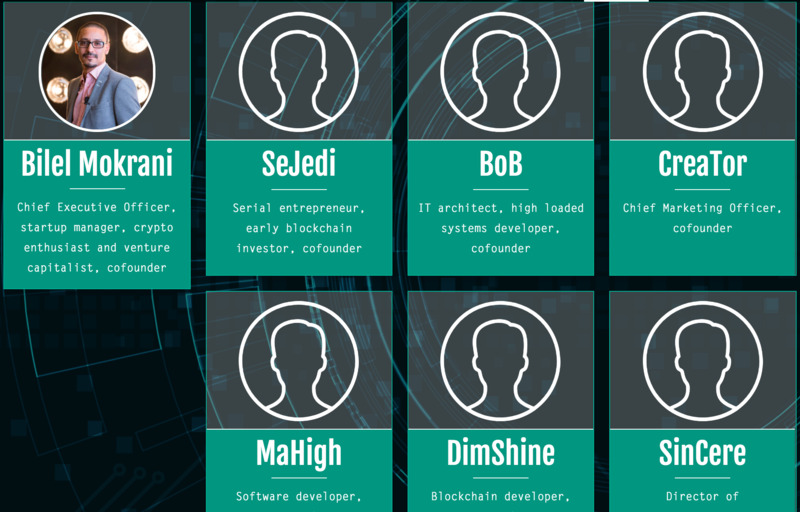 Currently, only the CEO of EVOS (Bilel Mokrani) is known to the community. While some investors may find this troubling, it is done so for a very important reason. The men and women building EVOS has families of their own and they live in countries across the world. Some live in countries that do not view cryptocurrency as favorably as others. Therefore, once the company is registered and all the ’t's are crossed and all the i’s are dotted’, the remaining team member will become known to the community. Other notable points on their roadmap include participation in meet ups and conferences around the world, partnerships with ICO projects and service providers, multi-faceted marketing campaigns, and premier exchange listings for the EVOS coin. Success almost always comes down to execution. Many cryptocurrency projects have great ideas but rarely followthrough on achieving them. A number of them promise similar services as this one. However, EVOS aims to change that by already delivering on a number of their commitments. Their bots that were promised are already active and helping their own community thrive. Any bugs are being fixed now before being deployed in other communities. Their platform is under construction and will use the EVOS coin as its backbone; a coin that has already launched and has growing demand. And they have a sizable team that appears to be hard at work on continuous improvements and new development. EVOS promises to change the way masternode investors focus their energy. By featuring a number of one-click services, automated programs, gateways from rewards to Bitcoin to fiat, and much more, investors will receive massive savings in one of their most precious investments of all, their time.